"The NEM KC Exhibition" - A mobvie by Armineh Hovanesian THE NEW ERA MUSEUM IS PROUD TO ANNOUNCE THE 40 ARTISTS SELECTED WITH 30 OF THESE APPEARING IN NEM KANSAS CITY SHOW. The Show was curated by museum curator and photographer Gina Costa and artist Brett Chenoweth. "How It Feels Meeting Love"
(From left to right: Armineh Hovanesian, Brett Chenoweth, Gina Costa, Jane Shultz and Meri Walker. Together as One. The vision of the New Era Museum (NEM) comes from the truth in my heart. We are walking the same street. What we do is mostly for others to experience the possibilities of freedom and self-expression, using our mobile phones, and to demonstrate that above all, we are human beings. Art is the result of soul - the real power of real humans as we are. The opening weekend of NEM Kansas City was awesome! Seeing the work in analogue form on the walls and sharing in the joy of the participating artists was pure pleasure. But truly the best and most inspiring aspect was meeting and sharing the event with the artists that were present for the exhibition. Thank you Gina, Jane, Meri and Armineh for the fun, laughter and inspiration you provided! The weekend was magical because of you! Analogue experiences rule! So, this dance is done! Fire sacrifice of the faux leather overalls completed. The sky shall return the Hendrix kiss and the toad shall shed his blue. All will be as is! I never imagined when the call went out for NEM-EX KC that the end result -- the exhibition -- would be the beginning of what I hope will become a life-long connection with artists I had previously admired from afar. When one by one they arrived at the opening reception, I felt tears well in my eyes. Each one brought their special gift, special knowledge, special way of interpreting what the Mobile Arts Revolution could be. They also brought a generosity of spirit and learning and sharing. This great spirit began when Brett asked me to join him in the jurying of the show. As we planned, worried, and agonized over the submissions, I learned I was working with a great artist, and a soul of grace. Lead by Andrea, guided by his vision, " Please do not select depressing works!" I came to know NEM was mostly a bringing together of generous, warm, giving artists. Ours is a museum bound by the passions of like-minded artists who want to share this collective vision.I have been challenged, inspired, and moved by the Kansas City NEM experience. I want to know what is next and where do we take this. Mostly, I want to grow what we have, and what we can be. Thank you to Brett for his patience, hard work, and grace. His example is of the highest order. This exhibition would not have been the success it physically is, without his incredibly hard work and dedication. Thank you, Andrea, for the vision. And thank you also, Brett, for making sure it got on the wall. As soon as I found and followed Brett Chenoweth on EyeEm - about three years ago - I wanted to meet him in person. His mobile artwork always stimulates me and the way he manages his virtual participation in the global, mobile art community inspires me. I tell people it’s Brett’s fault I got hooked into the community: I was just going to keep my mouth shut and make crazy stuff with my iPhone all by myself. Meri Walker portrait by Gina Costa. But, having a piece accepted to the first NEM-EX Mobile Art Show provided the impetus to fly into Kansas City on September 5th and satisfy my curiosity. My heart soared, from the moment we entered each others’ presence: Brett and Gina Costa and Armineh Hovesian and Jane Schultz. The venue for NEM-EX Kansas City, facilitated locally by Apryl McAnerney, provided the fearless curators with a beautiful space to hang a truly powerful selection of prints. It was a joy to take in our colleagues’ artwork and to laugh and learn together. At the opening, we used Google Hangout in real-time to connect to Santa Fe, New Mexico, with Carolyn Hall Young and did our best to bridge in Kaaren Malcom from Australia while each of us shared our own posts to Facebook, facilitated by NEM’s founder, Andrea Bigiarini. Far exceeding my wildest expectations, the affection and respect we brought one another was genuine and mutually nourishing. We really did already know one another through our artwork! Having several days to swap tips and tricks, eat and shoot together, and even do a little cooperative teaching with Brett at the Kansas City Academy was so much more rewarding (and educational) than I had ever imagined. More than a few tears fell on my flight to Austin. Returning this week to Oregon, after one heck of a lot of fun, I’m blessed with new friendships and a box of new ideas about how the New Era Museum might use future NEM shows and events to help mobile artists connect in person - as well as digitally - so together, we can extend the reach of this medium we love across the globe. I’m deeply grateful to Andrea for his vision for NEM, to Brett and Gina for their hard work putting this first show together, and to my beautiful friends, Jane and Armineh, for sharing themselves so generously. What can I say about my mobile photography family? It’s a unique clan of like-minded, super-creative souls. I was beyond thrilled and honored when I found out my entry was chosen to be part of the NEM Kansas City exhibition. Through kindness and support of my friends, I was able to make the trip to Kansas City and what an amazing treat that was. I was overjoyed that I finally had the chance to meet Gina, Brett, Meri and Jane. All of them were exactly as I had imagined them to be, sincere, generous, pleasant, and approachable. From the get go, we conversed and spent quality time together as if we had known each other forever. That’s what this community is all about. It’s about friendship, caring, understanding, sharing and helping one another. As it has been my experience as a mobile photographer since 2009, this community is all about unity and love. Being a NEM member has been very rewarding. I am inspired and moved by everyone’s input and creativity and in return I am challenged. My sincere gratitude and thanks goes to Andrea for the vision, Gina and Brett for the amazing work they did in Kansas City. There is something about the mobile community that makes it special, unique. The ability to share both inside a like-minded community and publicly - in an instant - is revolutionary and, in my opinion, fundamental to the mobile art movement. The connections we make are more deeply personal, as the outpouring of present emotion is shared when felt and observed within this small community. Art has always been an expression. Now, through the mobile world, we have the ability to connect and build connections based on those inner expressions more immediately, more intensely, and in a way that we never could before.It was a sincere pleasure to meet several artists whose work I greatly respect at the New Era Museum (NEM) Kansas City Exhibition. I flew across the country to be embraced by these wonderful people. We exchanged editing tips, gave each other lessons, and had photo shoots together. We pushed each other to reach for "that next thing". More importantly, we talked as if we had known each other for a long time, and we laughed and hugged. As we departed, one by one, there was both a feeling of emptiness and the promise of new ties. New Era Museum Open Call For Kansas City Exhibition. Kansas City will open a series of exhibitions around the globe throughout the year by the New Era Museum (NEM). NEM is a museum without walls committed to the humanistic initiative of the mobile arts. The New Era Museum's goal is to spread the concept that the making of a popular art form as a worldwide artistic movement is available to everyone with mobile device; a new Renaissance available without censorship or filters for anybody who wants to change the game. The New Era Museum Manifesto. Download the New Era Museum Open Call For Kansas City Exhibition PDF. Exhibition to be held from September 5 through September 30th 2014 Opening Reception September 5th 2014. Jurors - Gina Costa, Brett Chenoweth (NEM Founder Artists). Submit two images that best represents your vision to kcnementry@gmail.com. Submit full resolution jpegs with name, email address and title of pic, as well as a brief bio. 40 Artists will be short listed and included in the online presentation on the NEM website. Of the 40, 30 artists will be selected for the gallery show. NEM is partnering with IPA/iPrints for printing and presentation. Each Selected Artist will be responsible for their own printing, presentation and shipping costs through iPrints. Details at this link. IPA WILL SHIP DIRECTLY TO US. Also know that iPrints offer many more print options "off the menu" that are not in the current catalog, including 38 different framing options, mattes, and canvas prints. If all artists use IPA, IPA will offer up to a 25% discount on your order. It depends on the kind of prints you want. Main Street Gallery retains 40% of sales. Return Shipping of unsold work is also the artist's responsibility. IPA was founded as both a networking and exhibition site as well as a high end digital printing site geared specifically towards mobile photography/art. For over three years IPA has been one of the leaders in presenting mobile work as an art. In 2014 IPA is moving in a new direction focusing on building relationships with key artists and and expanding on their high end digital printing. NEM and the Kansas City Exhibition are proud to support this new direction. Gina Costa is museum curator and lecturer on 20th century art and photography. She has worked at The Metropolitan Museum of Art, NYC; The Art Institute of Chicago; Memorial Art Gallery, Rochester NY; and has taught art history at a variety of universities. 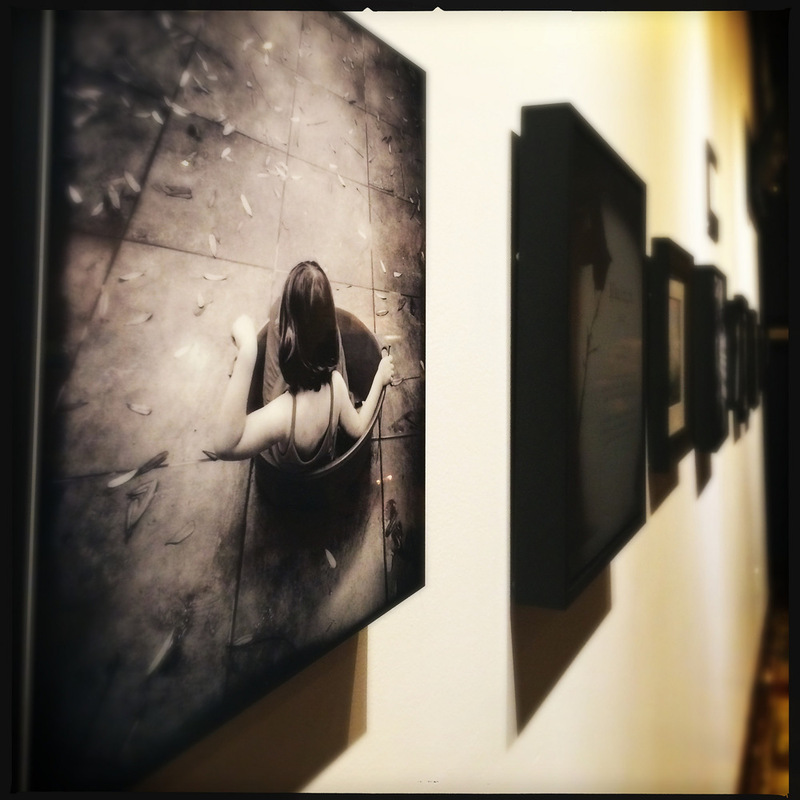 She is currently a member of several international on-line curated iPhoneography groups. Gina is currently working on a publication which explores the current discourse on the use of mobile technology and how it has changed the way one defines what a photograph can be. Brett Chenoweth has been a working and nationally exhibiting artist for over 25 years. He earned a B.F.A. in photography with a minor in art history from Washington University in St. Louis in 1986 and a B.F.A. degree in painting from the Kansas City Art Institute in 1989. Brett also earned his master’s degree of interdisciplinary studies in literature, creative writing, art, philosophy and theology from St. Johns and Goddard College in Plainfield, Vt. in 1999. He has been an art instructor in Kansas City, Vermont, and Maine. The Main Street Gallery, located in the Banquet Room upstairs at Anton's Restaurant, showcases a new local-international artist or group of artists in a themed show every month! Opening Receptions are 6-9pm the First Friday of the month. 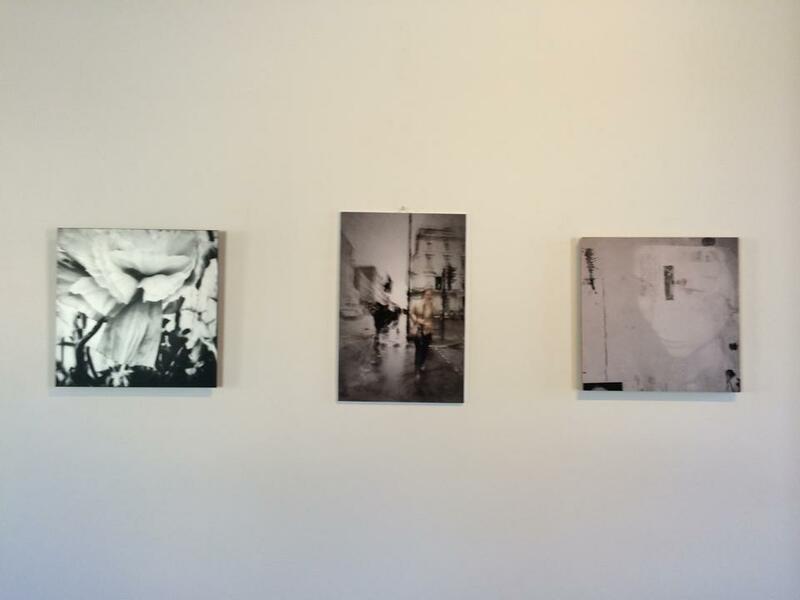 Gallery shows remain on display throughout the month during restaurant hours. In addition, we adorn the walls on all three floors with a rotating display of fabulous art. This innovative new restaurant, located in the heart of downtown Kansas City, MO, features a wide variety of homegrown menu items with an on-site butcher shop of Missouri Pork and grass-fed Beef, tank-raised Tilapia and fresh herbs on the lower level, fruit trees and berry bushes in the back garden, and a large selection of beer on tap.